CUSTOMIZE IN FULL COLOR FOR JUST 50 PIECES WITH NO ADDITIONAL CHARGES! 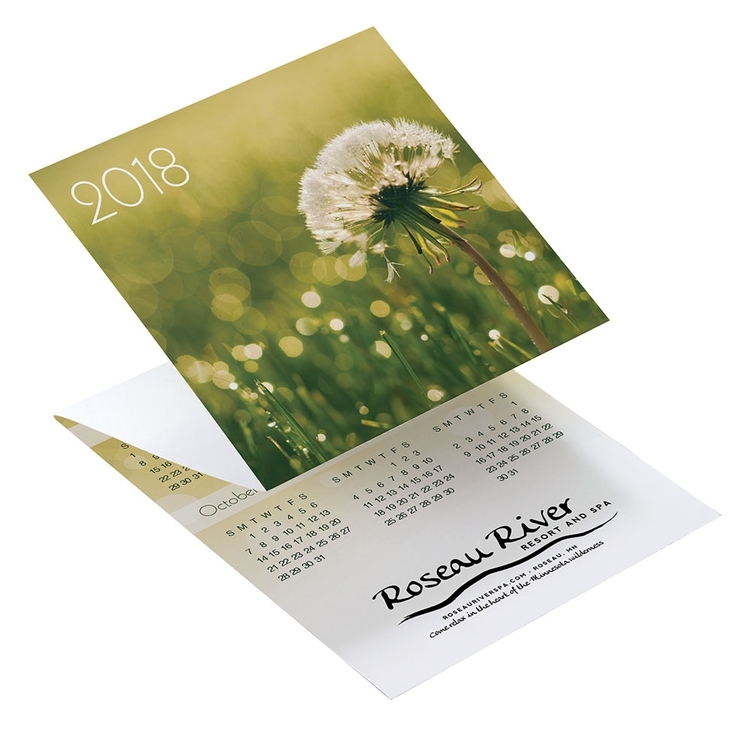 Tri-fold Calendars are available in 8 stock designs with your imprint or completely customize it with no additonal charges!. Calendars fold to fit perfectly in an envelope for easy mailing! Free mailing envelopes are included, not inserted. Printed on sturdy 12 point, smooth-finish white cardstock. Black imprint on stock designs unless otherwise specified. Order any of 8 stock designs and add your own photo or image, or completely customize the Trifold with your own art and images at no additional cost.